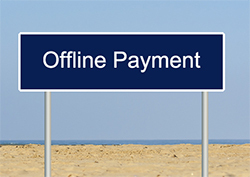 In case you don't have a credit or debit card, you can still place an order with us by making an offline payment through the following means. Please Note: Once you have transferred the fund amount, please email us the bank branch name, bank transaction number and the exact detail of the product or service ordered. For Remittances from outside India: You could Remit/Transfer the required amount directly to our Bank Account through Wire Transfer. For Remittances within India: You could Remit/Transfer the required amount directly to our Bank Account through Online Fund Transfer. Please do not deposit CASH or CHEQUE as Banks levy fees on these Remittances. You could send the required amount to us through Bank Draft or Banker Check or Cashier Check in Indian Rupees that is Payable at Chennai [India] in favor of AstroVed.com Pvt. Ltd. We do not accept outstation Cheques or Personal Checks [Cheques] or Banker/Cashier Checks in other currencies. Remittance also could be made to us through Money Order in Indian Rupees. Please Note: Your order will be processed only after the receipt of your payment. All the very best for your partner search.